While some Montreal island residents already have kitchen waste pick-up, most of us will have to wait a few more years before we have access to a municipal collection service. Meanwhile, one easy composting option is Compost Montreal. Compost Montreal is a private business that will collect your food waste each week and bring it to a composting facility. For $5/week (or $60/season), the service includes a kitchen-size bin that seals tightly and a fresh compostable liner each week. You can’t put in meat or dairy, but anything veggie, fruit or grain is good. I’ve been using their service for two years, and I can tell you that it’s truly hassle-free. The company was founded in 2007 by Stephen McLeod. He had been taking his own compostables by bicycle to a drop-off at a local community centre, and started offering to bring other people’s too, for a small fee. Soon he needed a truck, and some extra hands. A friend put him in touch with Tye Hunt, who was working for Côte Saint-Luc to help expand the municipality’s own organic waste collection program. When Hunt’s contract came to an end, he joined McLeod. “We began with one run and 40 clients,” recalls Hunt. “Now we do 9 runs and have 1,000 clients.” From their St-Henri base, they have expanded to Mile-End, Rosemont, NDG — wherever there is enough demand. They have two trucks, one running on vegetable oil (the other to be converted soon). Hunt estimates they collect about 5 tons of organic waste per week. 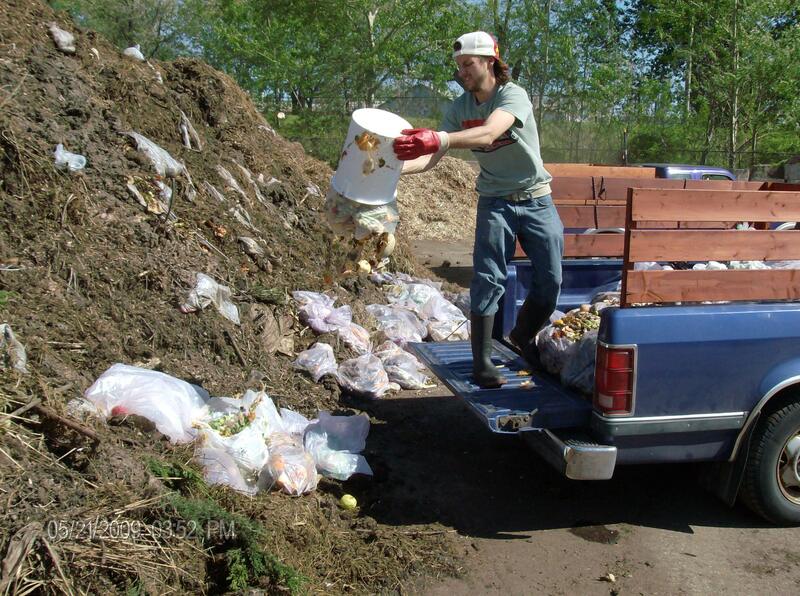 The waste is brought to a composting facility run by Montreal’s Southwest borough. While the site is intended primarily for leaves and other green waste, Compost Montreal has an agreement under which it can add up to 750 cubic metres a year (i.e. less than 10 percent of the site’s total volume). City workers turn the piles about once a week with bulldozers, which injects oxygen and promotes the growth of good bacteria to break down the matter. “The end product is A-grade compost that is good for redistribution into agriculture,” says Hunt. In the spring, interested Compost Montreal subscribers receive a bag of compost. The rest is sold to other gardeners (including Urban Seedling, a business that will come plant a vegetable garden at your home) or used for landscaping. Hunt notes that for some larger-scale city composting sites, this is the main benefit. “Even in cases where the compost produced is not of great quality, at least the greenhouse gases are dealt with properly.” Many cities use closed composting (anaerobic) sites, which produce more greenhouse gases than open-air (aerobic) sites but have some method for capturing the methane. As for organic matter helping other waste to break down, he does not know of any correlation. “Plastics, glass and metal take thousands of years to break down,” he says. Finally, there’s the transportation issue: most of our garbage is trucked off to landfill sites off the island, whereas Compost Montreal’s site is local. Sadly, Montreal lags far behind other cities when it comes to organic waste collection. Toronto has been servicing single-family households since 2005, and began expanding its program to apartment buildings and condominiums in 2008. Montreal is currently planning to build four major composting facilities on the island. Two of these would capture the methane released and convert it into electricity. The two others would be indoor compost treatment centres modeled after Ottawa’s — see Monique Beaudoin’s recent article in The Gazette. Mayor Gérald Tremblay had originally promised kitchen waste pick-up for all homes of eight units or less by September 2014. However, according to Gazette reporter Monique Beaudoin, who has been following the public hearings on the proposed sites for the compost treatment facilities, the City is now talking about island-wide pick-up by 2015 (given the time it will take to get the new facilities built and operational). So what will happen to Compost Montreal once kitchen waste collection is finally provided as a municipal service? Well, the company may bid on one of the city’s collection contracts. But it is also expanding in other ways. Compost Montreal already collects food waste from about two dozen businesses, and hopes to increase its commercial client base. Clients include Bell on Nun’s Island (cafeteria), several local cafés, TV celebrity Chuck Hughes’ restaurant Garde-Manger in Old Montreal, the Fairmont hotel, and some buildings at the Université de Montréal and UQAM. They also collect used vegetable oil from restaurants, selling it to a biodiesel manufacturer. And soon, they plan to launch an organic food delivery service, offering staples such as soymilk, peanut butter and toilet paper. 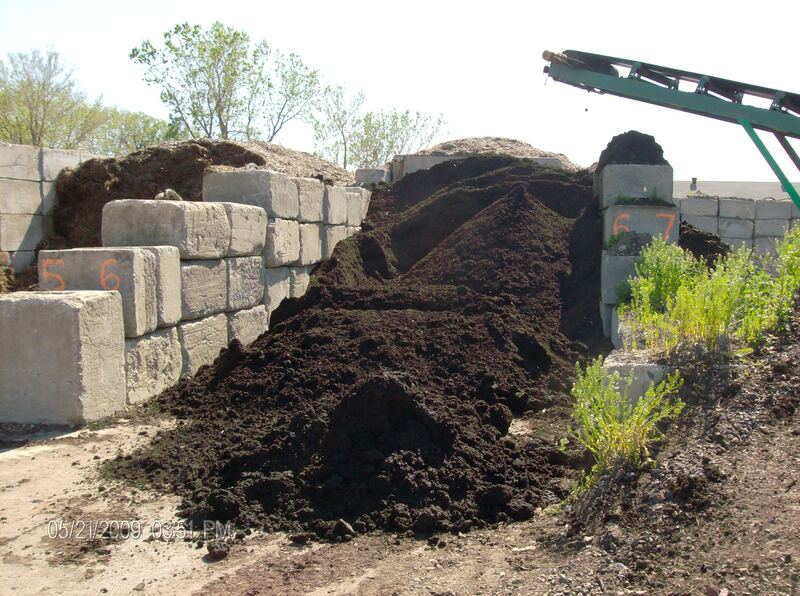 To find out if Compost Montreal services your area, call (514) 690-5773 or visit their website, www.compostmontreal.com.